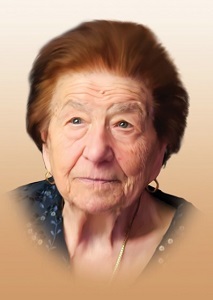 It is with great sadness that the family announces the passing away of a loving mother, grandmother and great-grandmother Antonietta Sangiovanni Paparelli at the age of 98, beloved wife of Tommaso Paparelli (pre-deceased), and mother to Onestina (pre-deceased) (Marino) and Fernando (pre-deceased). She will be sadly missed by her daughter Pasquina (Emilio) and son Giuseppe (Antonietta), her adored grand-children, great grand-children, nieces and nephews, and many other relatives and friends. In lieu of flowers, all donations will be given to The Kidney Foundation of Canada and to the Autism Canada Foundation. My deepest condolences to the family and may she look down on your families !! !